(K403) A Danish Tinnie for the German minority in Denmark. 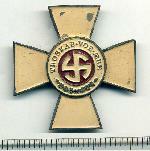 The badge is a nice gilt metal plate over a steel base and is dated 23.5.1940. 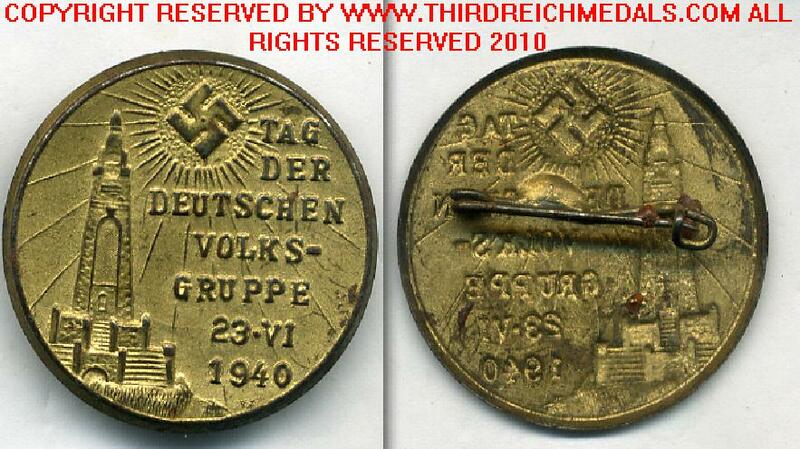 The badge is in very good condition and very scarce to find any of these day badges for foreign volunteer countries.